MSE Creative Consulting Blog: Risk of Tornadoes Has Increased! 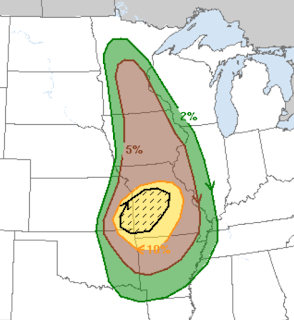 Both AccuWeather's storm modeling and the NWS Storm Prediction Center indicate the risk of tornadoes this afternoon and tonight is higher than it looked even a few hours ago. 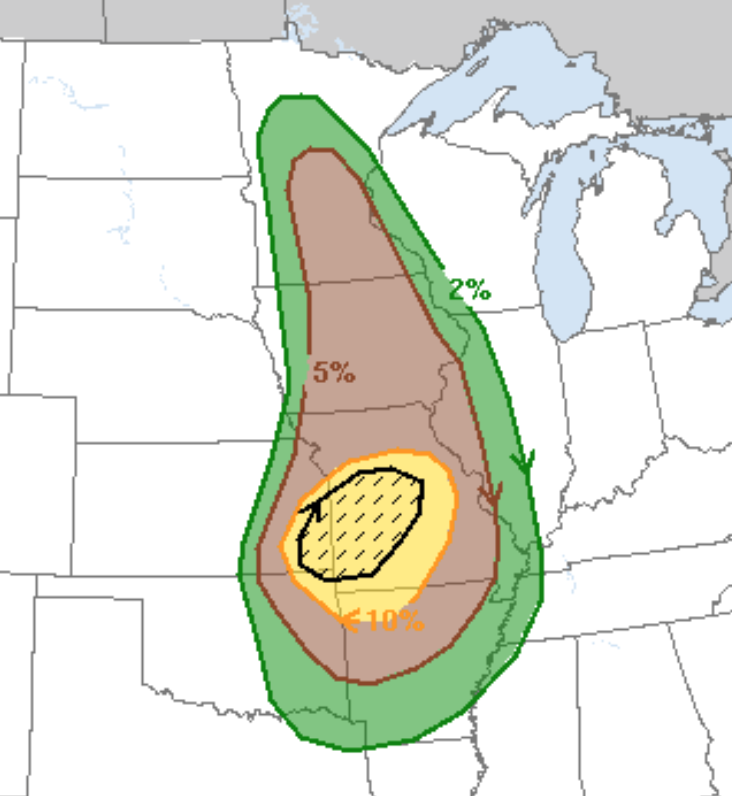 Brown is the significant threshold for tornadoes (5% chance of a tornado within 25 mi. of any given point). Yellow is 10%. The hatched area is where strong tornadoes may occur. This includes Kansas City, Ft. Scott, Joplin, Springfield and Columbia. People in these areas need to be monitoring sources of local weather information (including AccuWeather's smartphone app) at the first sign of the approach of thunderstorms. There is also the potential for very large hail. Here, the significant threshold is 15% (yellow). 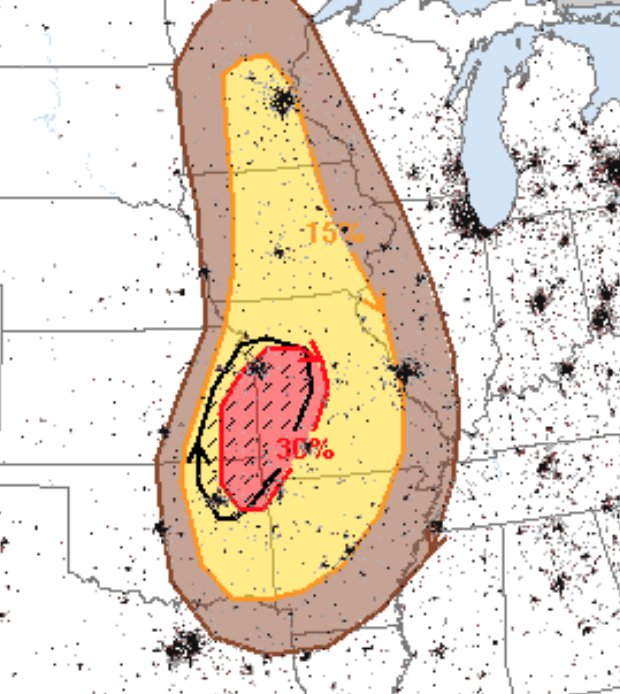 Red is 30% (1 in 3 chance at any give point) chance of 1" or larger hail. The hatched area is where hail larger than 2" in diameter is forecast to fall. I will update again this afternoon on this situation.